The Legend of Zelda: Majora’s Mask (AKA ゼルダの伝説 ムジュラの仮面 Zeruda no Densetsu Mujura no Kamen in Japan) is a 3D role-playing game (RPG) developed by Nintendo EAD for the Nintendo 64 gaming system in 2000. It’s the second game in the Zelda 64-bit series. 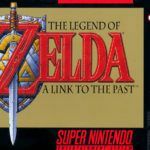 The Legend of Zelda: Majora’s Mask for the N64 was the follow up title to the series’ most successful title ever, Ocarina of Time. Majora’s Mask is a great game that differs in many ways from its predecessor. 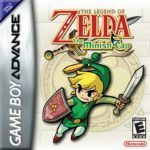 And though the game was not as much of a critical darling as Ocarina of Time, it is still another great entry to the series. The story of Majora’s Mask is insular in that it does not involve a quest to save the entire planet, but rather Clock Town, the location that serves as the central hub of the game. The plot is simple; link has three days to rescue the four giants that can stop the moon from crushing and destroying Clock Town. 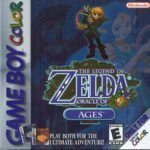 The whole idea of time was toyed with in the previous title in the form of a long time skip where Link goes from young boy to young adult. In Majora’s Mask for the Nintendo 64, playing with time is similar to Groundhog Day where the player can reverse time using the Ocarina of Time Link acquired from the previous game. Other mechanics include slowing down or pausing time. This is a rather unique feature of The Legend of Zelda: Majora’s Mask that plays very well with the three day cycle system. Everything in clock town operates on schedule independent of the player. This concept makes the world of Clock Town feel more alive and organic. Events are not triggered by the player, but unfold by themselves regardless of the player’s intervention. The lack of a need for an intervention makes the setting feel like an independent living being that does not wait on hand and foot for the player to do something. The Legend of Zelda: Majora’s Mask for the N64 also features the mask system. Link can wear several masks that transform him into one of the races featured in the game. Each has its own unique set of skills that makes them fun to play. The Goron mask allows players to roll around the terrain like a spiked wheel, while also being able to use flaming punches to shatter obstacles. It is perhaps the physically strongest and most robust character that Link can transform into in this Nintendo 64 gem. The Zora mask transforms Link into a Zora that can use its fin blades for melee attacks or act like boomerang projectiles. Swimming the waters of The Legend of Zelda: Majora’s Mask as a Zora is one of the most addictive forms of travel. It’s so easy to get lost in the fun of swimming around and jumping in and out of the water like a dolphin. Zora also allows Link to electrocute any enemy he might encounter. Finally, Link can also transform into a Deku. While a Deku, Link can perform a spinning ballerina-like attack that’s useful for dispatching a host of enemies. Like the other two transformations, the Deku has its own unique mode of travel, which in its case takes the form of flight through the use of two giant flowers that act like propellers. Core gameplay, visuals, and sound are more or less the same as Ocarina of time. There’s really nothing much to say except that The Legend of Zelda: Majora’s Mask delivers more or less what the previous installment delivered without adding anything innovative or revolutionary to the core of the game experience other than the quirky, almost to a gimmicky degree, three day cycle system. The Legend of Zelda: Majora’s Mask game has been ported to Nintendo 64 (this version), N3DS, and Virtual Console.